ContactUpdater gives you the opportunity to connect with long lost friends and business connections. 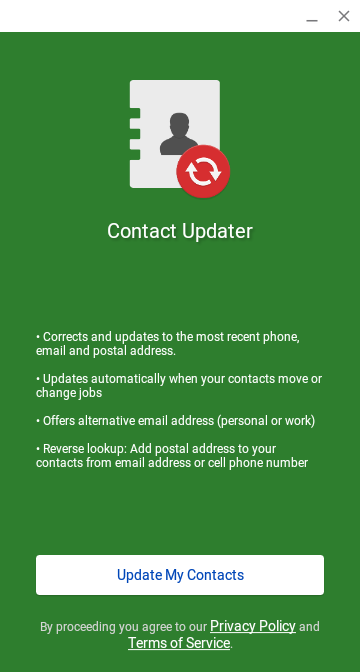 ContactUpdater does more than just update phone numbers, check out additional features below. 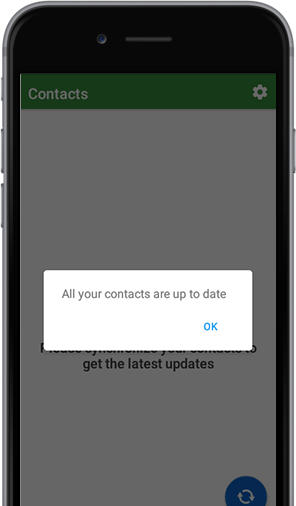 Corrects and updates to the most recent phone, email, and postal address using a daily updated database of over 232 million records. Find new ways to reach out to your contacts. 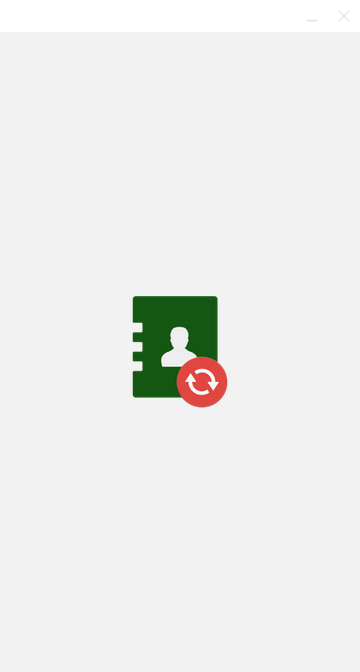 ContactUpader offers an alternate email address (personal or work) for people in your phone. 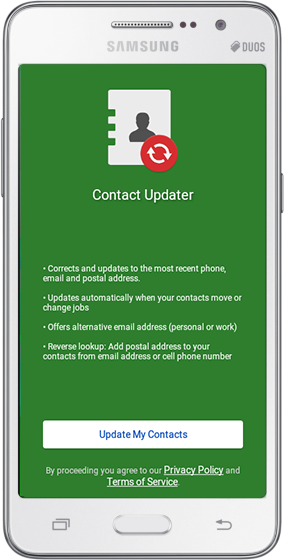 ContactUpdater automatically suggests updates to list when your contacts move or change jobs. 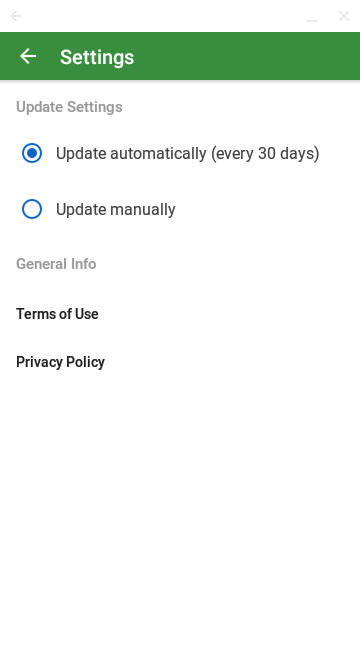 You have the chance to accept or reject these changes. Looking to send someone some mail? Automatically add postal addresses to your contacts from email address or cell phone number. 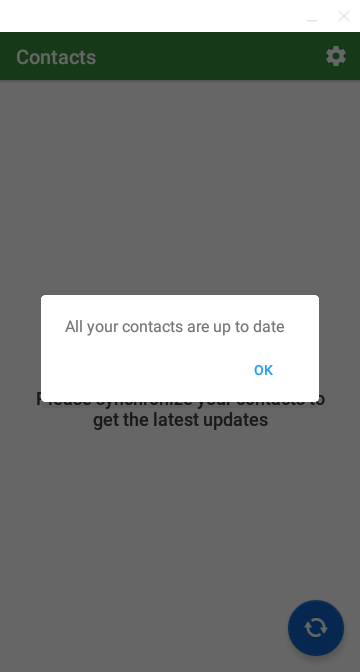 I'm no longer missing contact info! This app is great. ContactUpdater helped me fill the void left in my heart by missing data - 5/5. Good app, does what it claims, and it is free! Nice application! Runs super smooth on my Samsung Galaxy.